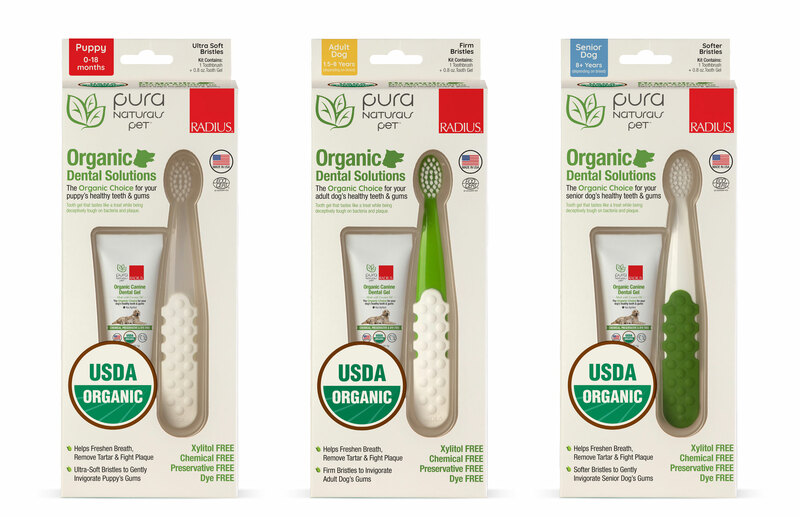 Pura Naturals Pet’s Organic Dental Solutions Kit, available in puppy, adult, and senior dog versions, includes a toothpaste gel that is free of Xylitol, chemicals, preservatives, and dyes. The toothbrush features a tapered handle with a nonslip grip and premium bristles to clean teeth and massage delicate gum tissue. The Organic Sweet Potato & Cinnamon Toothpaste Gel, the only USDA Certified organic pet toothpaste on the market, contains specially selected oils and extracts that reduce tooth decay, naturally freshen breath, and aid overall oral health, the company stated. Ingredients include cinnamon powder, sweet potato, vitamin A, coconut oil, and olive leaf. Made in the USA.